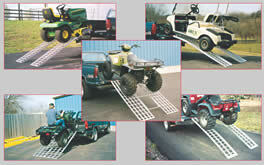 Welcome to Five Star Manufacturing, Inc., the number one manufacturer of aluminum ramps in the USA and original manufacturers of aluminum body shop equipment. Click on any link or image to view our complete line of aluminum products. Thanks for visiting us!